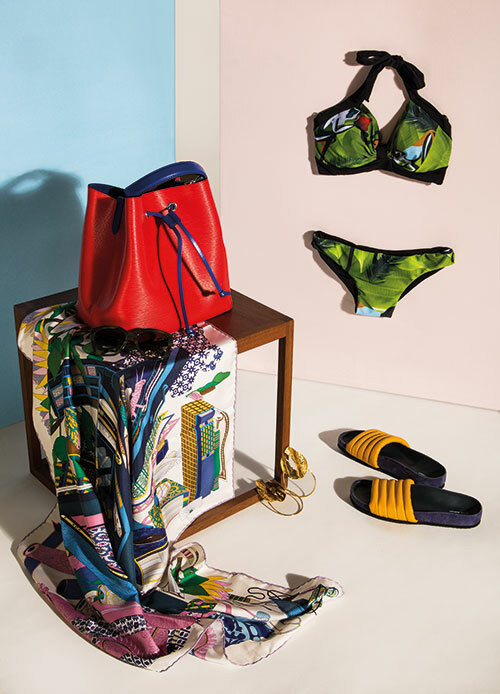 Tropical print swimsuit, from Shivan and Narresh, New Delhi. 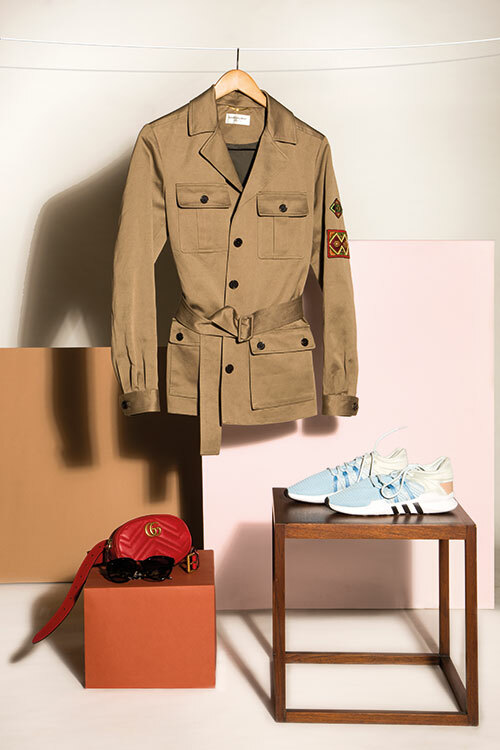 Neonoe bag, from Louis Vuitton; sunglasses, from Burberry at Sunglass Hut; Les trésors d’un Artiste silk scarf, from Hermès; textured hoops in sterling silver; from Misho; slip-ons, from Isabel Marant at Le Mill. All in Mumbai. 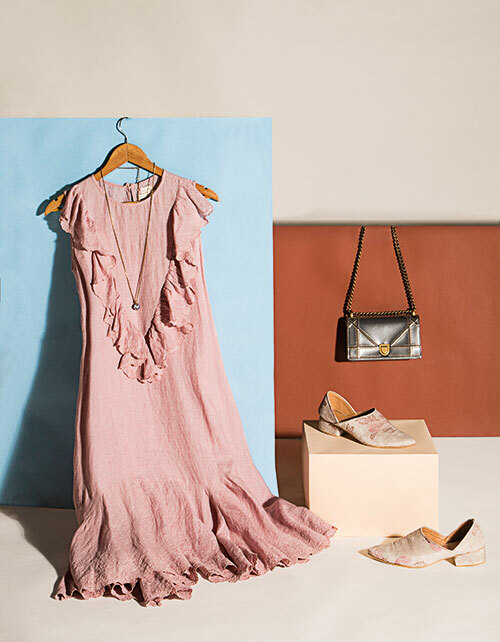 Mirage linen dress with scallop and frill detail, hand-block printed shoes, both from Eka, Gurugram. Diorama bag, D-Murrine pendant necklace, both from Dior, Mumbai. 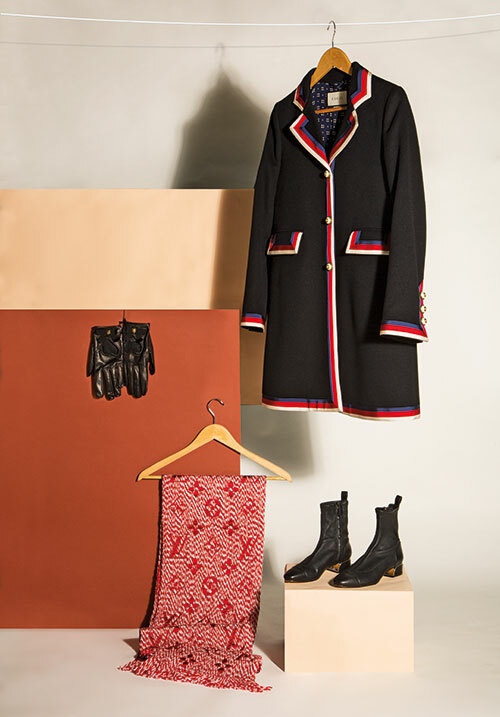 Wool coat, leather gloves with grosgrain bow, both from Gucci; Logomania mix scarf, from Louis Vuitton; black boots, from Massimo Dutti. All in Mumbai.